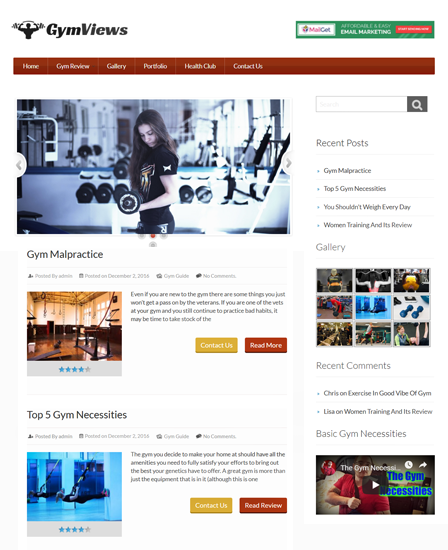 Tennis Club WordPress theme is nicely crafted for Fitness Club and Center, Olympic Sport, Badminton, Lawn Tennis, News Channel, Racket Sport, and Sports Club, Center, Trainer. Any sports teacher and trainer can quickly adopt the theme. The theme is well suited for any tennis matches like Australian open tennis, Canadian doubles, Jordache, Soft, Mini-tennis and Wheelchair tennis. Update your website by posting latest tennis results, live scores, Wimbledon tennis news, league, a list of fixtures and match highlights with the theme. The theme offers you to conduct local as well as international league and tournament such as Grand Slam, Wimbledon, Men’s and Women’s tournament. Slider section in the theme allows you to exhibit your top tennis players, top tennis court, stadium and much more with its images and a little description to grab the visitor intention. The template has a 3 column feature section where you can showcase your tennis scoreboard, services, final results with suitable description. 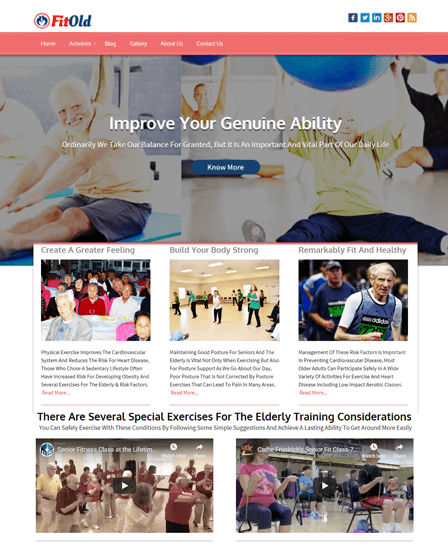 The homepage of the theme has an option to show testimonial and video section. 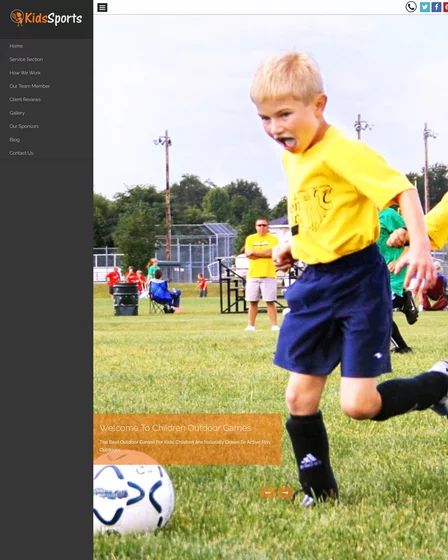 Testimonial to show what your customer says about your services and video section to demonstrate match highlights and training guidelines. 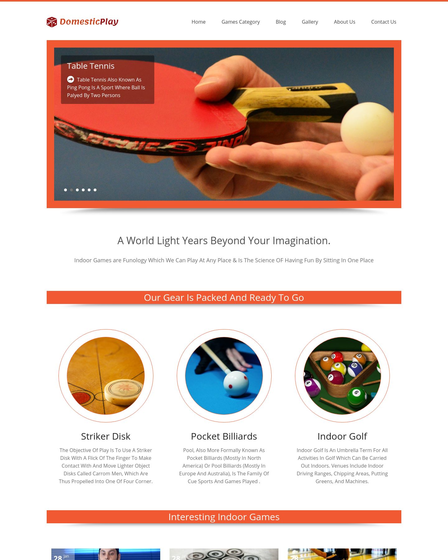 Tennis Club WP theme has a portfolio gallery section where you can showcase tennis equipment like a racket, ball, lawn, trainer, etc. Post latest news and information about player transfer, upcoming event. Share some useful tip and promote your services through the blog. Put weighty and punching taglines of your club with a proper description. It will grab the attention of the visitor. 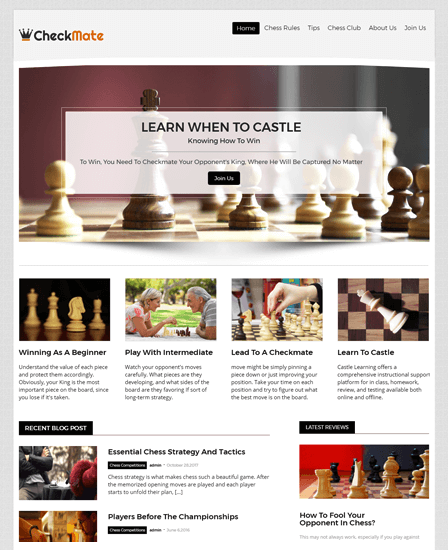 The theme comes with an eight elegant color allows you to customize your website in eight different colors.